When considering potential career paths, a degree from Central Christian College's Business Administration program can provide robust opportunities. This diverse field of study can be the first step in carving out your niche, from managing a healthcare setting to being a financial analyst for a bank. Before you jump into your college degree, consider some of the ways that it will change your life and future prospects for the better. Why study Business Administration? Skills and savvy. The first benefit of studying Business Administration is the practical and technical skills developed, both professionally and personally. Education and honing abilities can significantly impact self-esteem and confidence. Now is the time to get the skills needed to be a savvy administrator. 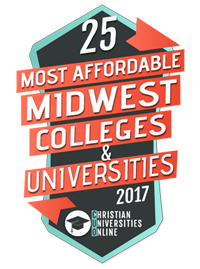 Central Christian College offers this to traditional and nontraditional students alike—all online—from the comfort of your home computer screen. With greater job opportunities comes increased pay; according to the Labor Bureau of Statistics, professionals with a bachelor’s degree earn about $400 more per week than those with only a high school diploma. Additionally, bachelor degree graduates have 50% more job security. If you aspire to build a career with earning potential, business administration is a viable option to consider. Many online degree programs offer job placement and career counseling to make this transition smooth and supportive. Your bachelor’s degree also makes you a candidate for further educational pursuits, such as a master’s degree. Think of how your online education can be used to work toward additional online degrees in a graduate program that you choose. Some relevant concentrations for your master’s level degree include a wide range of focuses, depending on your personal interest and skill-sets, from hospital administration to accounting and finance programs. Look for a degree program that is accredited and affiliated with numerous respected universities and organizations to ensure your credits will transfer seamlessly. Does this sound like something that can help you reach your personal and professional goals? Online degree programs are tailored to the student, 100% online, so you can work on your degree while taking care of your other responsibilities. Why wait? Reach out to the career professionals at Central Christian College's Business Administration program (CCC) for more information related to your career in the field.